I admit it. My long-suffering husband shamed me into setting up on-line bill paying. After reading my blog, he showed me how simple it is. I don’t have very many bills to pay each month. DH takes care of most of them. But I do have my own credit card–can’t let himself see how much I spend each month on coffee and yarn–and a few other monthly bills to pay. So I sat down at my computer and set things up. It only took a couple of minutes and voilà! My bills are paid. I confess. The real reason I set up on-line bill paying is that we only had two stamps, and one of them was already spoken for. And I had four bills to pay. Rather than go out into the cold to make a trip to the post office, I decided to fulfill last year’s new year’s resolution. Better late than never. That’s something we knitters can all agree on, I think. Better late than never. We all have at one time or another had half-completed projects languishing in some dark corner, sometimes for years, sometimes forgotten until we stumble upon them in a housecleaning frenzy. Junieann, a wonderful lady who belongs to several of the knitting groups I read daily, created a blog devoted to just these sorts of projects. She calls it MLC–The Misery Loves Company KAL. Check it out. You’ll see some of the most amazing sweaters and other knitted items. Some of them have been completed; others are still WIP (Works In Progress). All of them are absolutely fabulous. 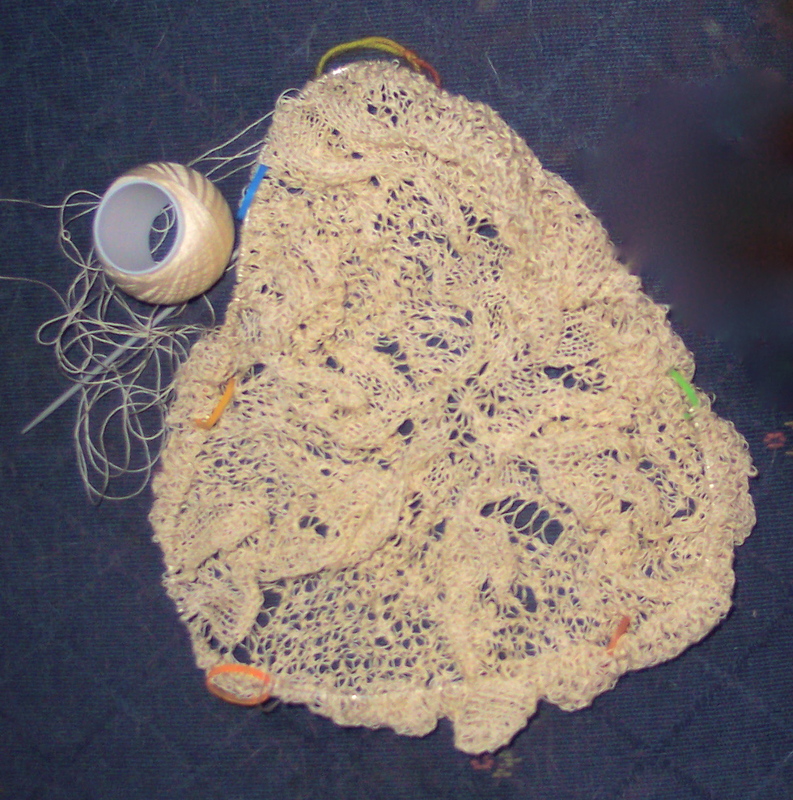 My abandoned knitting project is the Balmoral tablecloth from Marianne Kinzel’s Second Book of Modern Lace Knitting. That’s it on the cover. You can see my WIP at the top of this entry. 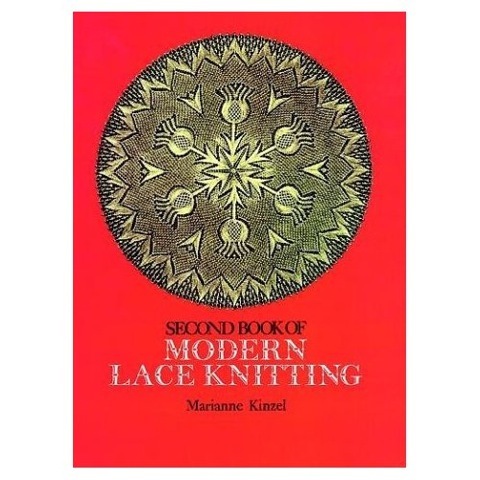 I started it several years ago as part of a KAL on the Laceknitters Yahoo group. I didn’t get very far because the join on my Susan Bates 2.75mm circular needles made it very difficult to push the stitches along. I recently purchased some Knit Picks 2.75mm circulars. I hope the join will make the knitting smoother. One of these days I’ll pick up this project again. Maybe I’ll join the MLC KAL. But not this year. No KAL in 2008. That’s my resolution, and I’m sticking to it. For now.